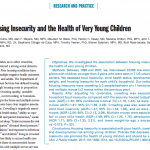 This article focuses on the prevalence among Massachusetts children and families of food insecurity, inadequate access to enough nutritious food for an active and healthy life. 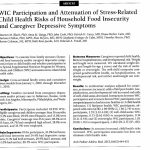 Children’s HealthWatch researchers wrote a commentary providing a pediatric research-based opinion on the negative effect of cuts to the Supplemental Assistance Nutrition Program (SNAP). 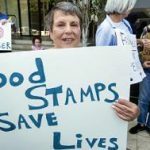 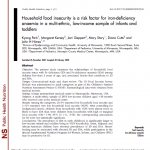 Are Food Insecurity’s Health Impacts Underestimated in the U.S. Population? 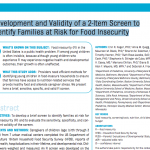 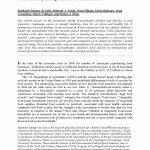 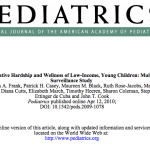 Marginal Food Insecurity Also Predicts Adverse Health Outcomes in U.S. Children and Mothers. 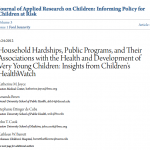 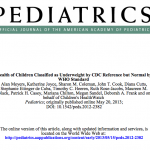 http://childrenshealthwatch.org/wp-content/uploads/JC_ASN_2013.png 519 659 admin http://childrenshealthwatch.org/wp-content/uploads/CHW-logo-anniversary-web.png admin2013-01-01 00:00:002017-07-14 14:52:40Are Food Insecurity's Health Impacts Underestimated in the U.S. Population? 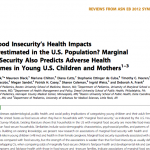 Marginal Food Insecurity Also Predicts Adverse Health Outcomes in U.S. Children and Mothers.